Home » Posts » Attentionology for K-5 Teachers » Let’s Encourage Kindness! “Ed,” a lively bumblebee, promotes kindness as part of a K-5 character education program. There’s no better time than now to focus attention on the importance of kindness in our world today. 1) models kindness in action. 2) engages kids in fun and functional activities that encourage kindness and help improve the likelihood that they will be caring and kind people as they grow up. 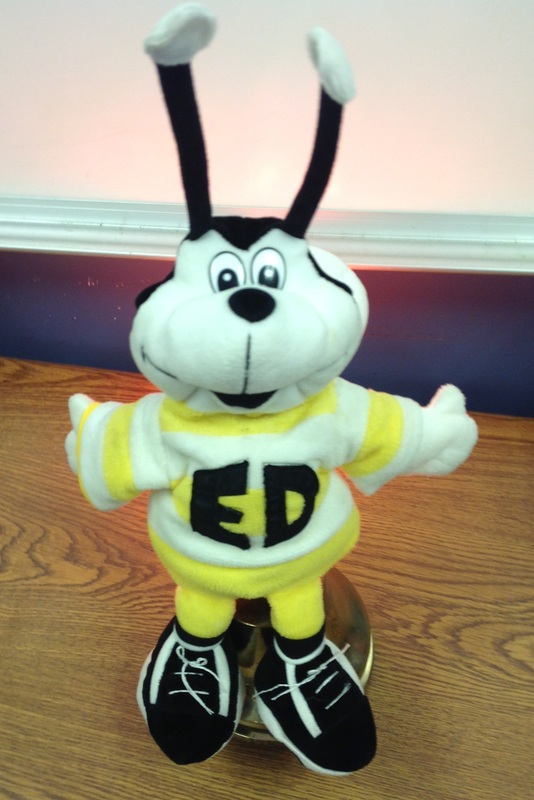 ♥ Cheer with “Ed” – Reward students who exhibit kindness in your classroom by inviting them to hold a stuffed toy, like “Ed,” a lively bumblebee, and lead the class in a “Let’s Encourage Kindness Cheer” on random days. Prepare ahead by teaching kids your “Let’s Encourage Kindness Cheer.” Use my simple one below or make up your own. ♥ Be Kind Buddy Time – Plan convenient times in your classroom, say 5 -7 minutes, for Be Kind Buddy Time to help encourage kindness. Plan time for children to get out of their seats and enjoy activities together during Be Kind Buddy Time. 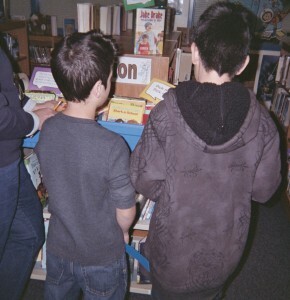 Explain to students that during Be Kind Buddy Time you’ll allow them to get out of their seats (keeping the noise level tolerable) and spend time with a class buddy they (or you) choose for them. Be Kind Buddy Time can especially help children with special needs. To insure that no child is left out during buddy selection, you may need to be involved in pairing children. In addition to encouraging kindness, Be Kind Buddy Time can help all children learn to be tolerant of people with special needs. Teach kids that one way to be kind is to ask questions. Suggest that “buddies” ask each other about people, places and activities that they care about. Set up a demonstration between you and a volunteer student to model how to ask questions about other people. This will help engage children who are shy or in need of conversational skills. A teacher sending a quick email to a parent noting how her child demonstrated kindness in class that week. ♥ Send Home Quick Emails that Praise Kindness – Who doesn’t love reading or hearing kind words that praise their children! Take a few minutes each week to send home quick emails to parents whose children have demonstrated kindness in class during that time. You may even want to send an “email blast” to the families of your students announcing your initiative to encourage kindness. Ask parents to offer suggestions for your “Let’s Encourage Kindness” initiative. ♥ Post an I Spy Kindness Bulletin Board – Post an I Spy Kindness Bulletin Board in a prominent space. Ask students to bring in photographs and illustrations that illustrate kindness in action to tack on the board. Check out online resources as well as magazines, newspapers and other print media for photos to post on an I Spy Kindness Bulletin Board. ♥ Create a Multi-functional Kindness Mascot – Designate a stuffed animal or animal puppet, like Keri the Very Kind Canine (explain that canine means dog) for your classroom. Use the Kindness Mascot to encourage good behaviors, including healthy eating. Place the Kindness Mascot in different locations around your room to focus kids’ attention on different aspects of kindness. 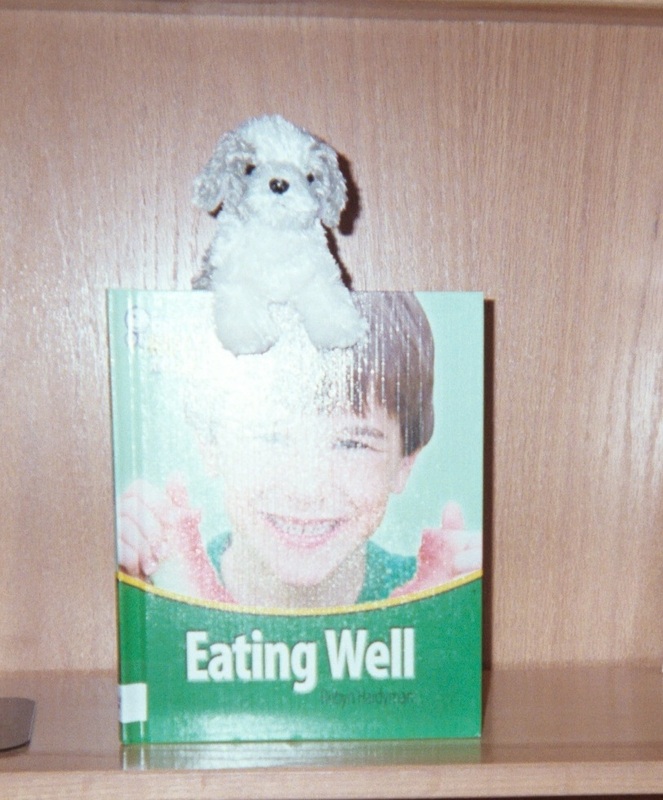 Keri, the Very Kind Canine, sits on top of a book about eating well to remind kids to be kind to their bodies. Use a Kindness Mascot, like Keri, as a reward for children who exhibit desired behaviors. How? Tell the class to be on the lookout for Keri to “visit” students who show kindness in class. 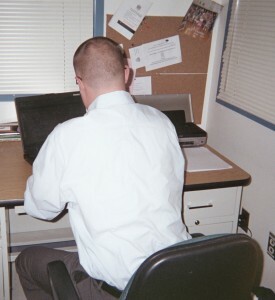 Place the mascot on top of a deserving child’s desk for a temporary reward. Kids love this! ♥ Participate in Holiday Kindness – You and your class may already have plans to participate in a holiday program that helps less fortunate people. If not, consider looking for an easy-to-manage way for you and your students to offer kindness in your community. Most children learn best by doing. The best way to encourage kindness is to use tools and strategies that create opportunities for them to participate in kind acts. Please send comments about how you encourage kindness. 1 Pings/Trackbacks for "Let’s Encourage Kindness!"